NZXT has launched the H440 Special Edition chassis in Europe. The PC accessories specialist firm says that due to its original clean design the mid-tower H440 has quickly become a favourite around the world. However NZXT wanted to take it further, to make something "that is custom tailored to meet the needs of gamers around the world". After looking through the PR blurb that special something appears to mainly consist of green LED lighting and the Razer logo. The new Special Edition H440 (left) compared with the regular green accented model. HEXUS reviewed the original NZXT H440 in July this year. Its modern ODD-less design appealed to us thanks to its choice of colours, quartet of included fans, sound insulation, cable management and sturdy construction. Only a couple of wrinkles in the product were noted and the chassis won a HEXUS Recommended Award. The original NZXT launched in white with black accents or in black with a choice of red, orange, blue or green accents. The new Special Edition is in what I would call black with no accents but with added green LED accoutrements. Today's refresh really is all about appearances, as the update highlight bullet points supplied by NZXT below, illustrate. 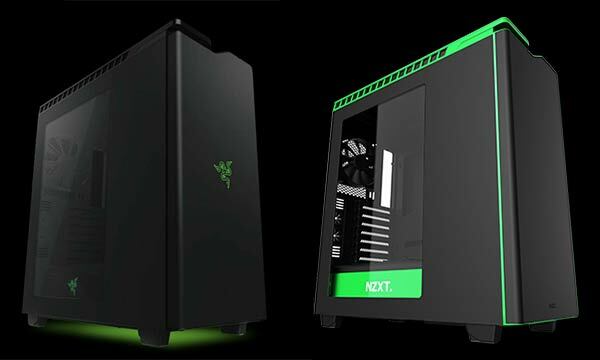 The above design and colour changes should appeal to buyers because it offers "gamers the ability to create a battlestation that beautifully matches their arsenal of gaming peripherals," says NZXT. 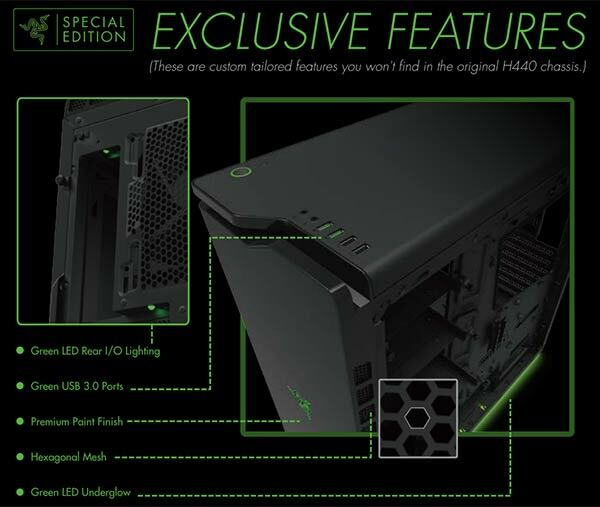 While this 'Special Edition' update isn't therefore impressive in any technical way - other than the improvements via Razer - it doesn't stop this chassis being a worthy choice for your PC build and it's always nice to have more options available when purchasing something. That this chassis still has the same qualities to that reviewed by HEXUS this summer but now you can get it with lot of green LEDs. Check out the spec list below. Finally, we are told that the new H440 will be available soon, through NZXT’s official European distributors, for €149.99. 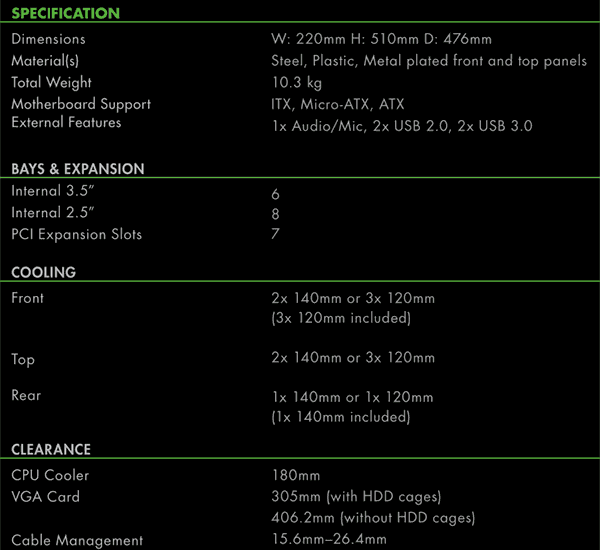 That's clearly a Razer logo, but no mention of Razer anywhere?? Am I missing something? Probably because Razer hasn't paid Hexus to advertise, but NZXT has…..
We cover Razer news. There is no conspiracy here. I will add to the piece with the Razer reference.